Given the projections for a close presidential race, Florida election law could once again take center stage in the days leading up to and following the election. With that possibility in mind, I will summarize in a series several legal issues that may come into play in November. This fourth in the series will address ballot recounts. (1) If the first ballot count reflects that a candidate was defeated or ballot measure approved or rejected by ½ of 1% or less of the votes cast, a machine recount of all ballots cast for the race or measure will occur. 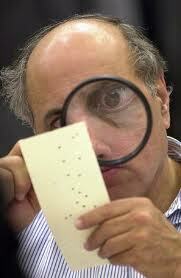 This recount need not occur if the losing candidate requests in writing that a recount not be made. The tabulating machines must be tested before the recount begins. F.S. 102.141(7) . (2) If the machine recount described in paragraph 1 shows that the candidate was defeated or ballot measure was approved or rejected by ¼ of 1% or less of the votes cast, a manual recount of the overvotes and undervotes cast for the race or measure will occur. A vote contained on a ballot initially identified as an overvote or undervote shall be counted if there is a clear indication on the ballot that the voter has made a definite choice. This manual recount will occur unless the losing candidate requests in writing that a recount not be made or the number of overvotes and undervotes is fewer than the number of votes needed to change the outcome of the election. “Overvote” means a voter has marked a vote for 2 or more persons for the same office or more than one answer to a ballot question, and the machine tabulator records no vote for the office or question. F.S. 97.021(24) . “Undervote” means that the voter did not make any choice for an office or ballot question, and the machine tabulator records no vote for the office or question. F.S. 97.021(38) . See Topic 1 – Voter Challenges. Topic 2 – Provisional Ballots. Topic 3 – Challenges to Absentee Ballots. Topic 5 – Election Contests. This entry was posted in Ballot recounts, Election contests, Timely Issues Series and tagged ballot count, ballot count audit, close presidential race, Florida ballots recount, Florida election contest, Florida election controversy, Florida election disputes, Florida election law, florida election problems, Florida recount, Florida vote count, Florida voting systems, machine ballot recount, manual vote recount, overvotes, Recounts of ballots, Thomas Shults, Tom Shults, undervotes, vote tabulating machines. Bookmark the permalink.